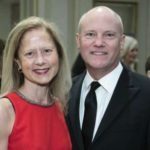 Third annual digestive health gala raises record-breaking amount. 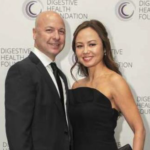 On June 9, $2.41 million was raised at the 2018 Digestive Health Foundation Gala to help transform digestive disease into digestive health for patients and families at the Northwestern Medicine Digestive Health Center. More than 400 guests attended the Digestive Health Foundation’s benefit, honoring Dr. Steven J. Stryker, an attending colon and rectal surgeon at Northwestern Memorial Hospital and Professor of Clinical Surgery in Northwestern University’s Feinberg School of Medicine, and his wife, Andréa J. Schwartz, VP of Media Relations for Macy’s, U.S. 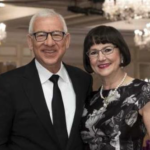 The organization’s mission is to provide relief for the 60 to 70 million Americans dealing with digestive conditions ranging from colorectal and pancreatic cancers to Crohn’s disease, ulcerative colitis and celiac disease among others. The 2018 Gala brought the total sum raised by DHF since its inception in 2015 to more than $6 million. The proceeds previously have underwritten 30 research studies, two advanced physician fellowships, and establishment of the Digestive Health Foundation BioRepository, a tissue bank designed to support global research on digestive diseases other medical disorders.